F-Zero X has had a bit of a rough time on the Virtual Console this generation. The high-speed racer ran into some serious control issues when it made its Wii U VC debut in Europe, and these issues actually rendered it nigh unplayable. Fortunately, Nintendo listened to fan outcry and fixed the issue a bit later, and while certain experts may say the original version still isn't beat, it's leagues better than it used to be. Now, North Americans who have been feeling left out can soon jump in, as the game comes out on the Wii U VC tomorrow in the region. We'd be willing to bet that Nintendo will get it right the first time this time around, but we'll see when the store updates tomorrow. In the meantime, we can only hope that maybe, just maybe, there'll be some new F-Zero news revealed at the Switch event. It's a fantastic dream to be sure, but stranger things have happened, right? What do you think? Will you pick this up for Wii U? How long do you think it'll be before Nintendo finally makes a new entry? Share your thoughts in the comments below. I'm loving these back-to-back N64 releases, but I wish Nintendo didn't wait so long to add them. Keep those N64 releases coming, Reggie! 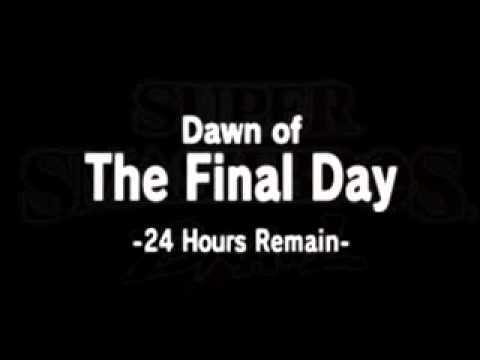 Hopefully we'll see Super Smash Bros. soon. I'm gonna take a guess and say Star Fox 64 is next week. Star Tropics 1 and 2 for 3ds! Castlevania Legends 3ds! I just curious, why Nintendo VC games mostly 1st party, less 3rd party ? For example SNES, I wish I can play Tiny Toon Wacky Race again, but too bad. I only can play it on SNES, no VC release. I'd love to play this but I'm not buying any more VC games unless they carrry over to the Switch. Hopefully we'll find that out tomorrow. @Anti-Matter Because licensing costs money. Especially something based off a TV show. Can a brotha get some WWF No Mercy? Make it happen Nintendo! @GameOtaku Double Dragon 3 for 3DS! F Zero GX confirmed for Switch virtual console with online play and HD1080p graphics. Hopefully this is to celebrate the impending release of F-Zero Switch. I hear the controls are still not fully fixed despite the patch. I recently purchased an N64 and have got this game (amongst many others). I never played it originally and my goodness it is awesome! Really goes to show (in my opinion) that smooth frame rates and lots of on screen action trumps pretty textures and effects every single time. I'm not surprised the controls could be an issue on the VC release. You have to be so precise at such a fast speed, especially the sections where they remove the track barriers. "Hopefully it's the patched version"
I will definitely be getting this and it will be my first F-Zero game. Do they offer an "upgrade" discount for repurchasing N64 VC titles should they already exist on your Wii mode, as they did with the NES and SNES titles? If so does anyone know how much they charge? @IceClimbers Not quite. Star fox 64 is still not here. I'm assuming neither regions got smash bros though? @Deadstanley Yes, they cost $2 to upgrade if you already have the Wii version. @Niinbendo No, I actually put it up when there was only 24 hours remaining, not 34. "Buy the 3DS remake for only $49.99! Cheap!" A little too late i would say. They better release those on Switch!